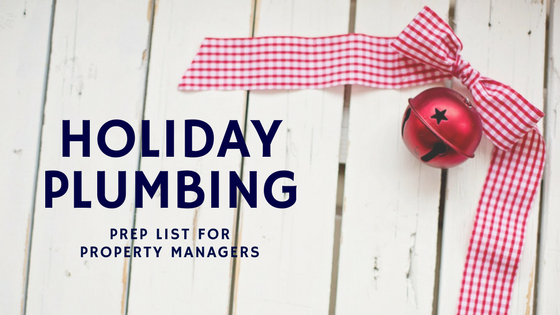 As the holidays approach and your residents start inviting family members and friends over for the holidays, it’s important to reiterate plumbing safety to prevent major catastrophes over the holidays, like clogged drains and backed-up toilets that could cause flooding in the unit and in adjacent units. During the holidays your condo drain lines will see an increase in usage as more people use the bathrooms in the individual units and throughout the building. More grease, food scraps and other items will also be pushed down the drain lines. If your drains aren’t ready for the increased usage, you could experience severe clogs and water damage in your building. You may even have to call a plumber for an emergency plumbing service call, which can be expensive, especially if the plumbing emergency occurs on a weekend or on a holiday. Your condo owners are responsible for the plumbing systems located within their individual units. If they have a toilet that isn’t functioning correctly or a shower drain that is running slow, they should call a professional plumber to have these minor problems fixed before their holiday guests arrive. Create a flyer that explains the dos and don’ts of drains to remind your guests of items that should never be put down the garbage disposal or toilet. Individuals should never put meat or vegetable skins down garbage disposals. Likewise, grease, oils and lard should be put into a separate container for disposal and never dumped down a drain. When it comes to toilets, the only things that should be flushed are human waste and toilet paper. Paper towels, facial tissues, feminine hygiene products and wet wipes, even if they say biodegradable and toilet safe, should never be flushed. To help ensure your entire building is ready for the influx of visitors, make sure your plumbing system and condo drain lines are in good working order. While your residents are responsible for the pipes within their individual units, the condo HOA and management team are responsible for all the pipes located within the public spaces. To ensure all of your drain line and water supply lines are functioning correctly, make sure you have them inspected for leaks, cracks and corrosion. You may even want to have your water tested for proper pressure and any contaminants prior to the holidays. If you do find any problems, take steps to repair them, like having leaks fixed and your drains cleaned. The holidays often mean an increase in water usage and higher water bills. Prior to the start of the holiday parties and gatherings, take steps to decrease your water usage. You can do this by installing low flow aerators on all faucets that are located in public spaces and low-flow shower heads on any public use showers, like those in swimming pool and gym areas. Here at Nu Flow, we can help you have a smooth holiday with our pipe lining services. 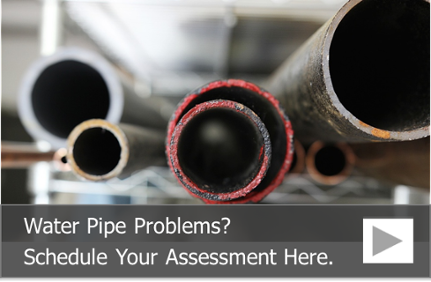 If you suspect that your condo’s drain lines aren’t in good condition, you can schedule a building pipe assessment. A building pipe assessment checks your condo plumbing system for problems, like cracked and broken pipes, clogs and corrosion. After your inspection, our pipe lining experts will give you a detailed report on the status of your drain lines and an estimate for pipe lining, which includes thoroughly cleaning your drain lines.